041B0591 is a Battery Backup Replacement Kit. For use with various Garage Door Openers featuring a Battery Backup System (BBU). Complete replacement kit includes: (2) 12V, 4.5AH Rechargeable Batteries. A fully charged battery backup system supplies 24 Vdc to the motor unit for one to two days of normal operation during an electrical power outage. 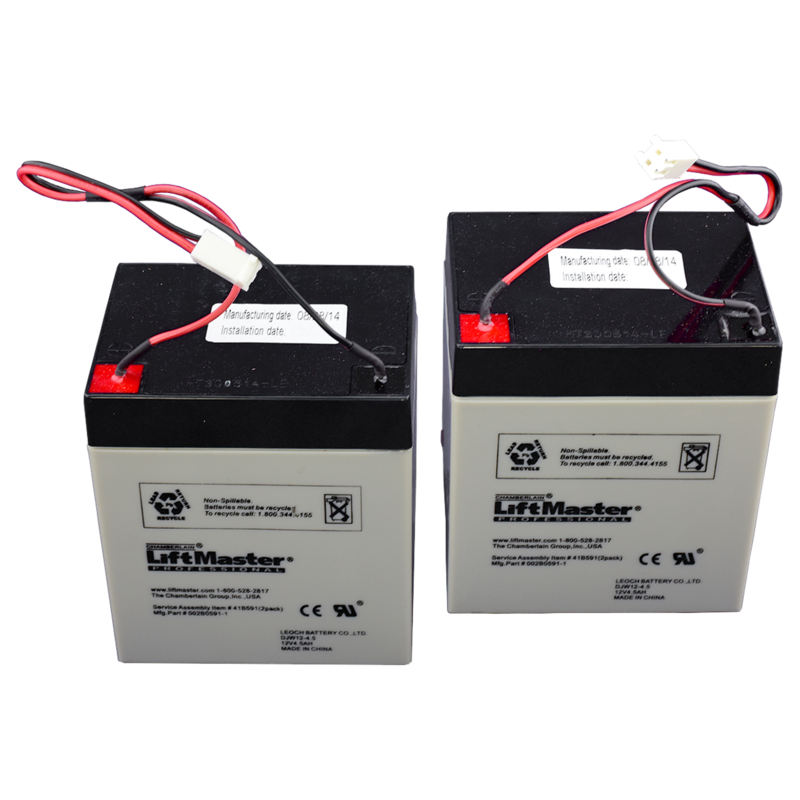 Allow replacement batteries to fully charge before using the BBU system. Check the manual or replacement parts diagram for specific part information before ordering to ensure compatibility.